On second thought, let’s not. 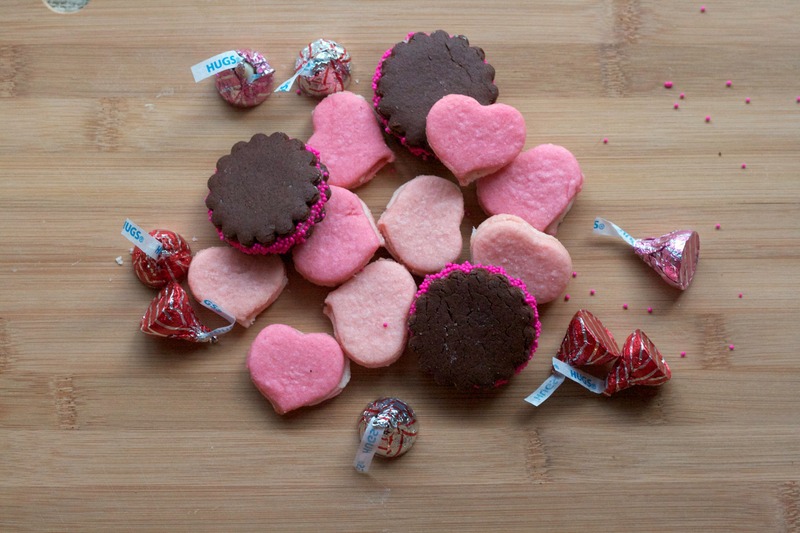 Let’s talk about making the most of a holiday that celebrates love by whipping up some sweet treats for friends and family. Valentine’s Day is here and that means restaurants everywhere will have a chance to jack up menu prices just by throwing in a chocolate dessert and printing a special couple’s menu. A chance to draw people in with a holiday special? It’s what us marketing folks live for. But Valentine’s Day is so much more than that. It’s an excuse to show someone, anyone a little love. Whether I’ve been single or attached, I’ve always had a positive view of Valentine’s Day. It could be due to my longstanding love of crafts, baking and themes, but I’d like to believe my parents had a lot to do with it too. I grew up with a dad who made Valentine’s Day special for my sister and I no matter what age we were. 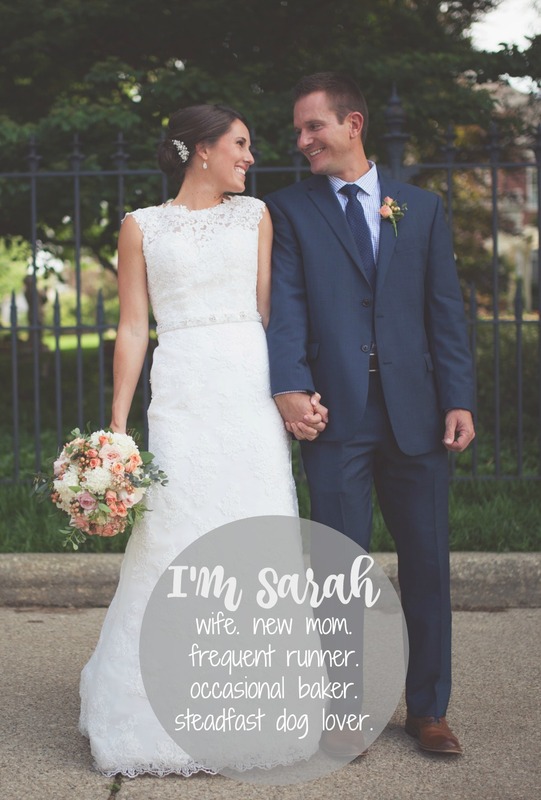 He embarrassed me in middle school when they announced over the intercom that I had a flower delivery in the office and his praises were sung each February in college when he sent my roommates and I Pease’s candy boxes. Valentine’s Day is fun. Please excuse me for a moment while I put the finishing touches on my 3-D shoebox with heart-shaped pink LED lights. 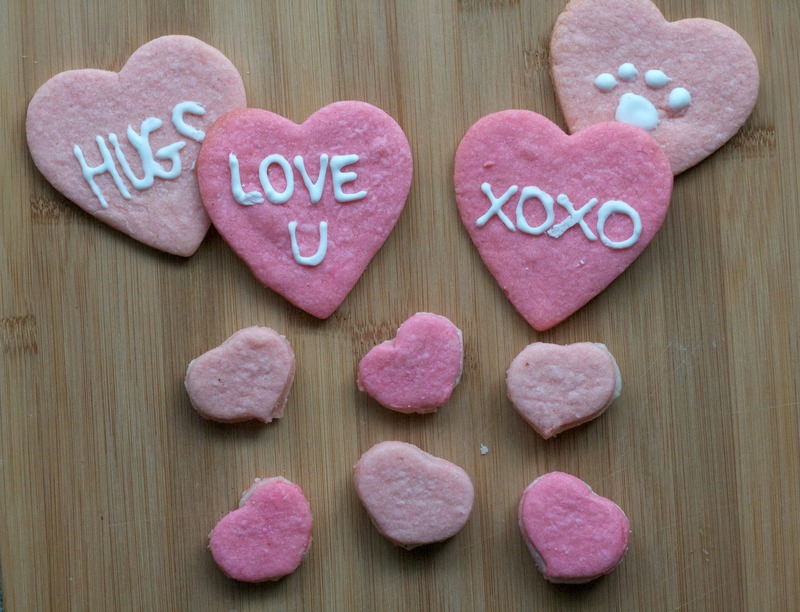 This year I attempted these cookies from Martha Stewart for Valentine’s Day. And while I should have realized this in my other failed attempts, I am now certain that Martha Stewart recipes are the pre-Pinterest, Pinterest fails. She cannot be human. And neither can anyone she works with. Her edges are so clean. Her filling so smooth. It could be that because I couldn’t find small heart cookie cutters anywhere, I just squeezed the edge of my shamrock one until it formed something that looked sort of like a heart. Or the way that the chocolate dough rolled out so crumbly that I gave up and used a biscuit cutter to make them bigger so I could go to bed. It could be that. Or just maybe, all sandwich cookie recipes should come with a warning label that after 4-plus pans in and out of the oven, you will only end up with like 10 completed cookies to show for it because they each need two sides. Seriously Martha. I know it seems obvious but a girl needs to be warned about these things! In a large bowl, whisk flour, baking powder and salt. In a stand mixer, cream butter and sugar together until fluffy. Add egg and then vanilla. Add dry ingredients into wet. Refrigerate dough for up to an hour. Divide dough into two. 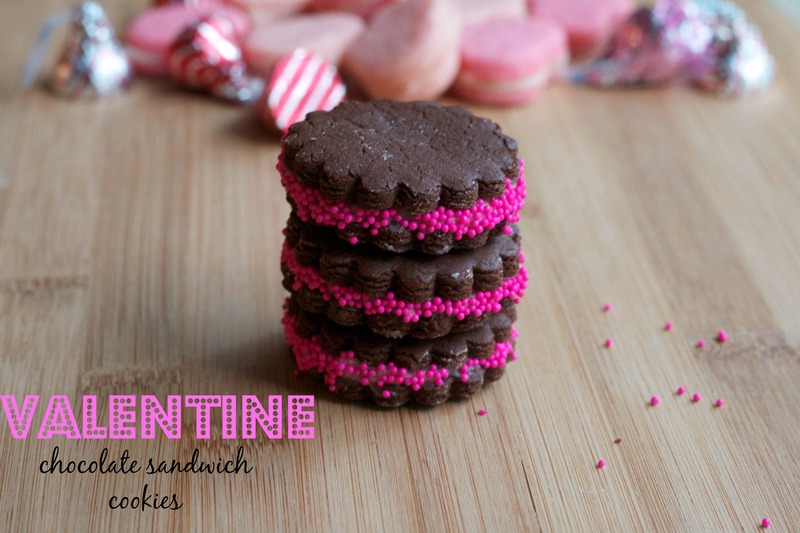 Mix in drops of pink food coloring and knead through dough until you reach your desired color. Roll onto floured mat. 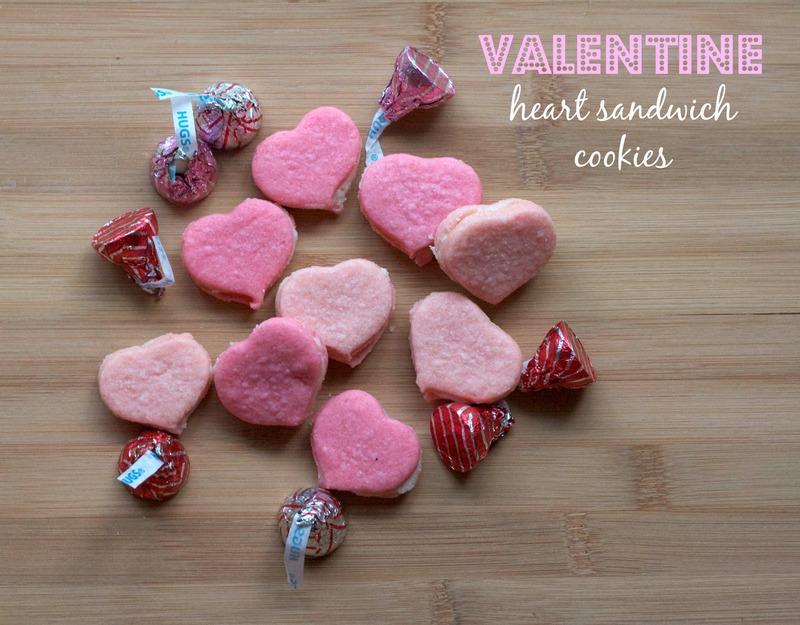 Use shamrock or heart-shaped cookie cutter. Place on baking mat and bake for 12 minutes or until edges are firm. Let cool. Make cream filling. Place small amount of filling in center of two hearts and let dry. In a large bowl mix flour, cocoa, baking soda and salt. In a stand mixer, blend brown sugar and melted butter. I just realized I never melted my butter hence the course texture of my dough. Add egg. Roll onto floured mat. Cut into desired shape. Place on baking mat and bake for 8 minutes or until edges are firm. Let cool. Add cream filling. Roll edges in sprinkles right away. I hope you have a very happy Valentine’s Day! I’m looking forward to getting home to spoil my nephews and reunite with my pup!